Detailing the physical features, habits, territorial reach and other identifying qualities of the Harlequin Bug. The many colors and varied patterns on the Harlequin Bug are delightful to observers, but their appetites are woefully destructive. 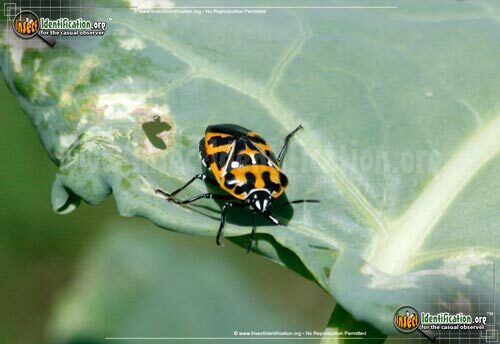 The orange, black, and white bodies of nymphs and adults of the Harlequin Bug are bursting with colors and intricate patterns. This makes them easy to spot on green plants. 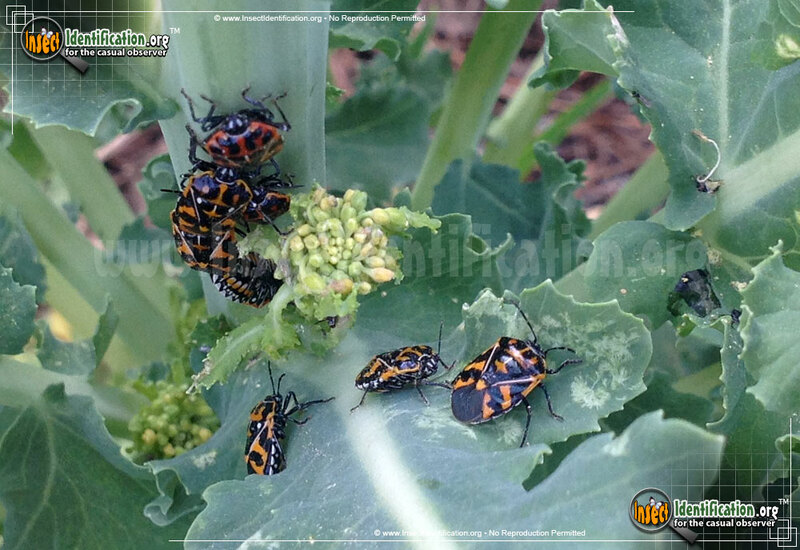 Some are more red than orange, but all have a hallmark shield-like pattern on them. An orange cross sits in the center and a white dot typically marks each top corner of the shield. The nymphs look different from adults; the pattern and coloring on the body changes as they mature. 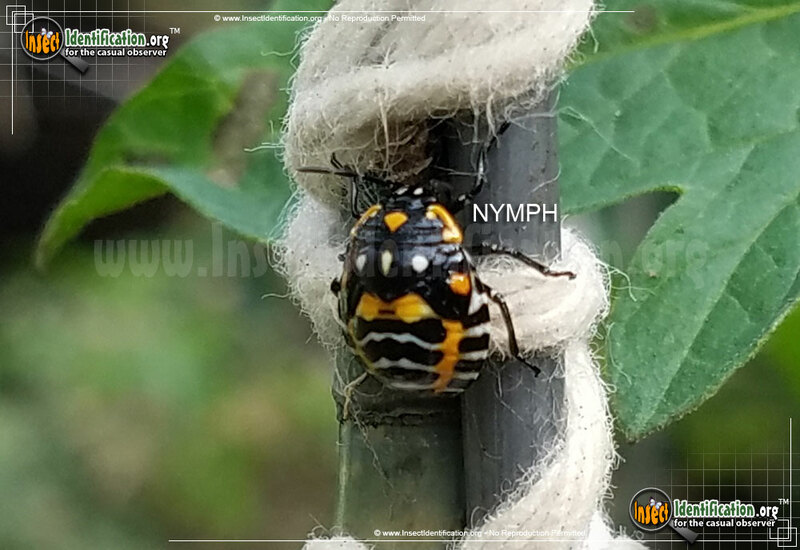 Nymphs are mostly black and very round. An orange diamond near the head is followed by a trio of white marks beneath it. White, thin wavy lines cross the abdomen, but are interrupted by an orange band on each side. 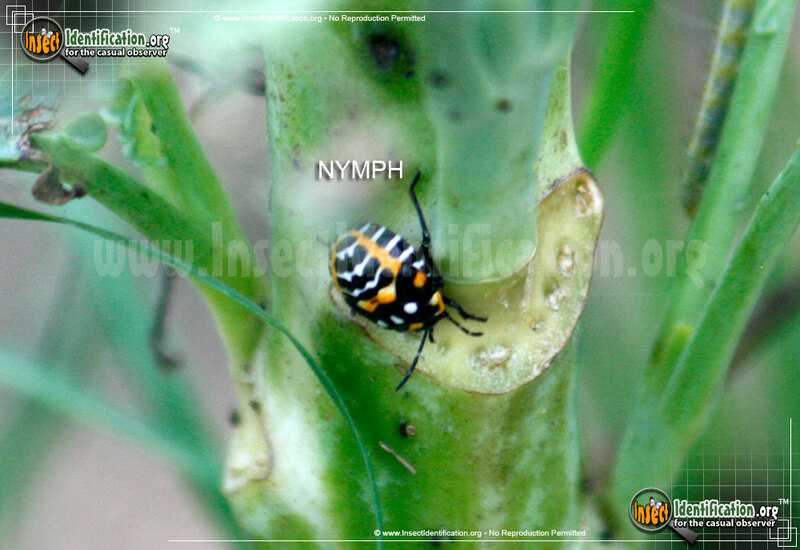 Both adults and nymphs can be found in orchards, citrus groves, farms, gardens, meadows and fields. They are a major agricultural pest and damage a variety of food crops. The insect pierces the soft spots of plants and then drinks its juices. 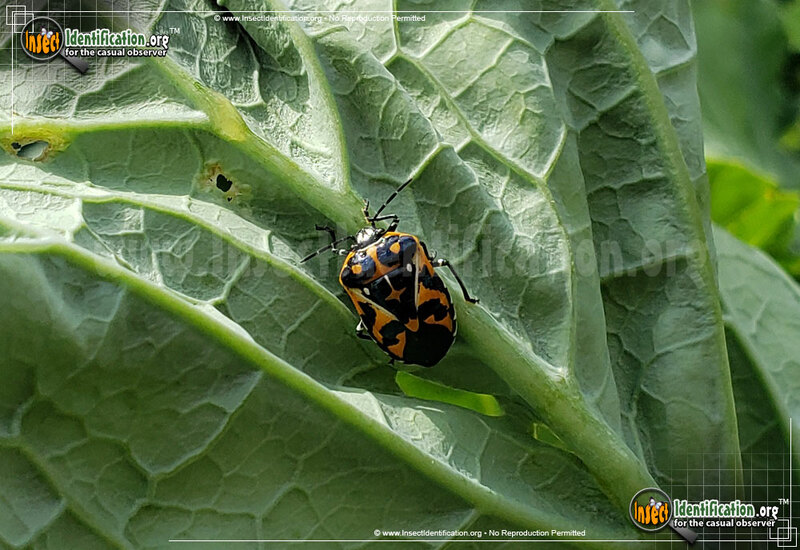 Some popular food choices for this insect include: cabbage, broccoli, cauliflower, kale, turnips, potatoes, beets, beans, grapes, summer squash, zucchini, horseradish, sunflowers, ragweed and citrus leaves. 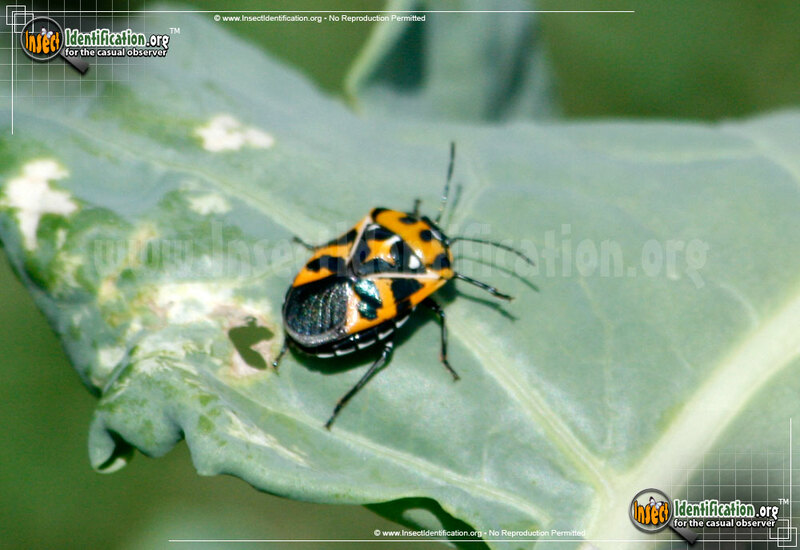 Harlequin Bugs are native to North America, originally found in Mexico. The range now includes most of the continent. Adults overwinter in debris and dried up vegetables left to rot in a garden bed. They become active when warmer weather arrives in spring. Northern populations produce one generation a year, while Southern populations can produce up to three. The nymphs actively feed all summer long.